Generate report of recorded data in either Text (.txt) or HTML (.html) file format. 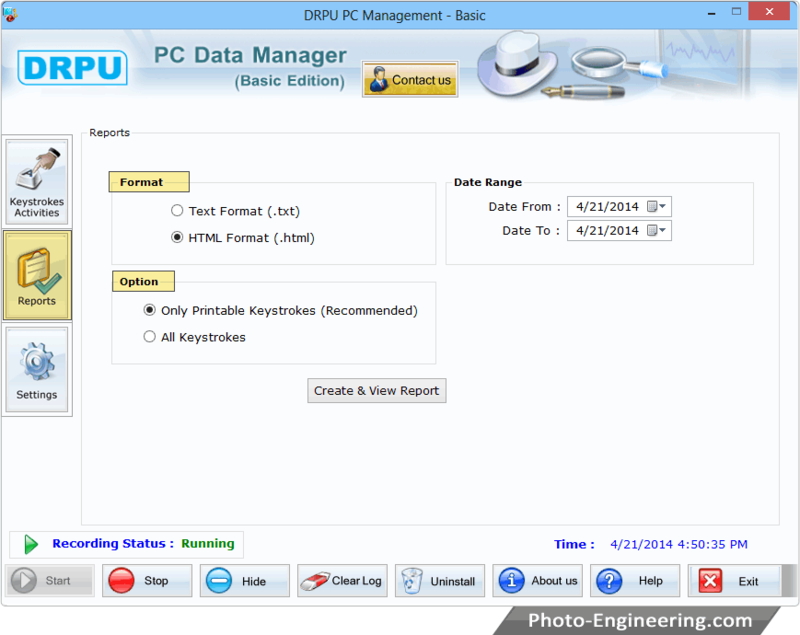 You can create and view the report of 'Only Printable Keystrokes (Recommended)' or 'All Keystrokes'. 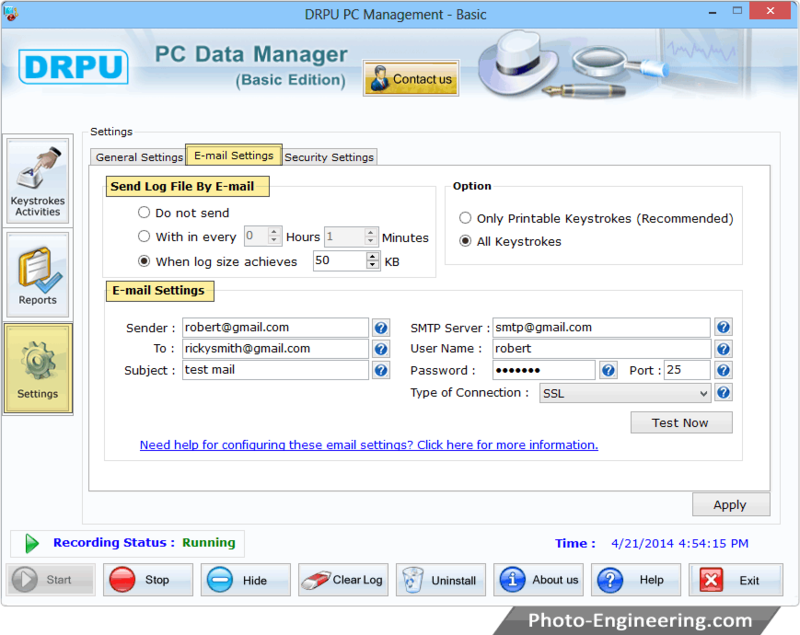 E-mail settings tab to set mail settings for sending log file by e-mail and click on “Apply” button to save changes.